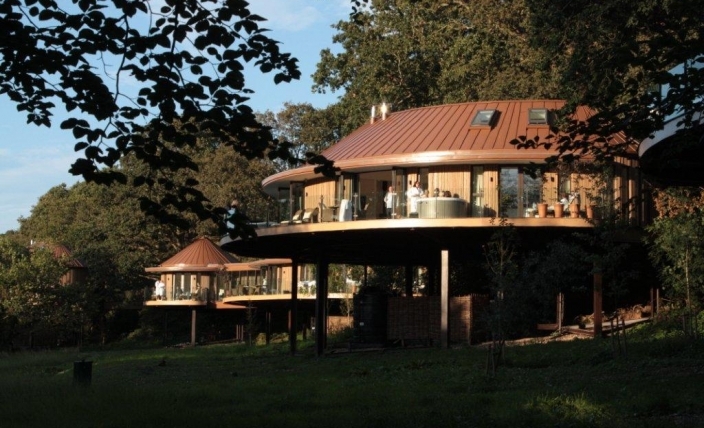 Planning permission has been granted for six luxurious tree house eco-lodges. The lodges will be built in the grounds of award winning Chewton Glen Hotel, Hampshire. 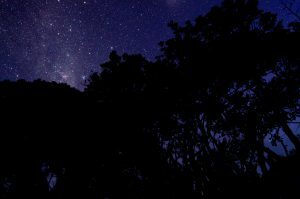 Blue Forest were approach by the hotel and their architect Terrance O’Roucke to provide the creative design of the tree house lodges. “The look and feel will be that of a ‘lily pad’ floating in the Chewton Bunny Valley, which runs down to the Solent Coast” explained Chewton Glen’s managing director, Andrew Stembridge. Each unit has been sympathetically positioned around the trees and topology of the site and the design echoes the natural environment in which they are built. Access to these new suites will be by golf buggy or foot only, across a short wooden bridge. Inside, floor-to-ceiling windows, vaulted ceilings, secret bunk rooms, wood burners and 3m-wide hardwood decks will help enhance a sense of place amongst the tree canopy. Oversized tubs with woodland views and double rainforest showers will further emphasise the link with nature. Eco-credentials of the lodges include the rainwater harvesting, air-source heat pumps, solar panels, sedum roofs and low-energy lighting. Work will get under way on the £6m project, which will include the development of a one-acre walled garden and an expanded car park, in September 2011. The lodges are being built by an independent contractor with ongoing architectural services provided by Terence O’Rourke. The scheme is due to be completed in June 2012.